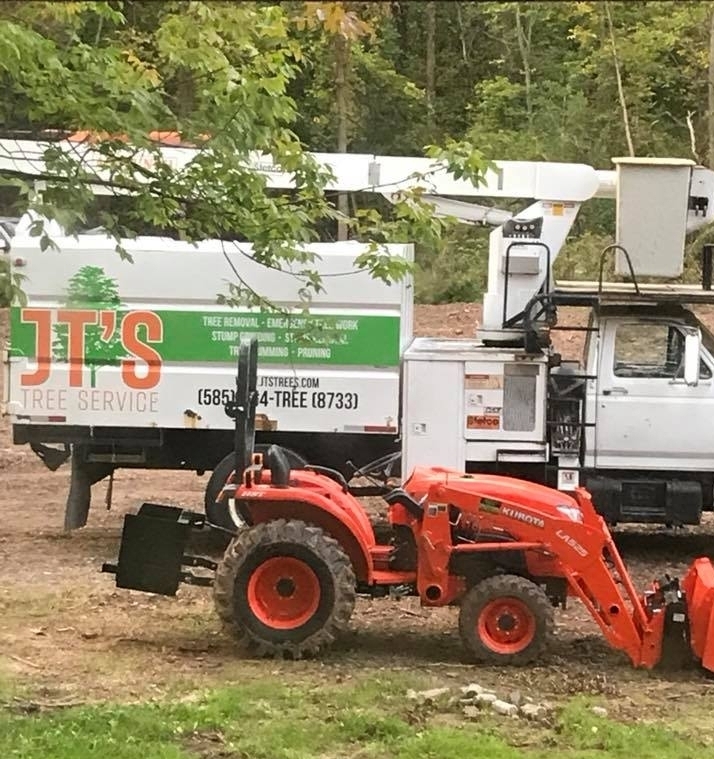 JT's Tree Service is proud to serve clients in Rochester, NY and surrounding areas. We are committed to exceeding our customer's expectations. We are dedicated to helping you maintain a beautiful outdoor property including trimming, removal, stump grinding and more. At least one of the two owners will be on site at EVERY job so you can rest easy knowing your property is in good hands. Tree care is more than just aesthetics. We will identify unstable trees and infested shrubs and bushes and work to prevent or mitigate safety issues. Properly taking care of trees on your property can help keep you and those around you safe, especially during a violent storm. Don't wait until a storm hits...call us today for a free consultation! Not all tree services are created equal! Larger companies may offer you all the bells and whistles (for an additional price), and the one man jobs may save a little money (which may cause more issues than you can imagine). Choose a company who is local, family owned and operated, and the best value all around. Choose JT's Tree Service and you won't be disappointed!